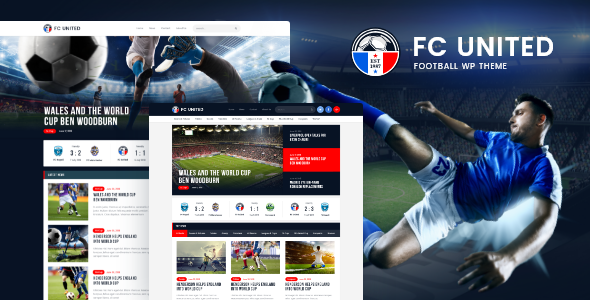 FC United is a responsive, colorful, clean & sharp Sports WordPress Theme. It is designed for Soccer / Football Club & all kinds of athletes, sportsman, trainers services, coaches, runners, sportsmen and all healthy lifestyle people. Also it fits sport blog, magazine, marathon runner, healthy lifestyle coach, fitness coach business, jogging trainer or sportsmen health store. FC United is great for all kinds of football and soccer teams, clubs or even corporate company, agency, firm, bureau school. You can open WooCommerce online Store and sell sportswear, gear, special equipment like running shoes, accessories, and equipment, player jerseys and t-shirts for everyone: amateur or professional, kids or adults, rookie or veteran. FC United is made on Elementor, so no worries if you wish to get more creative – this popular page builder will help you with that. 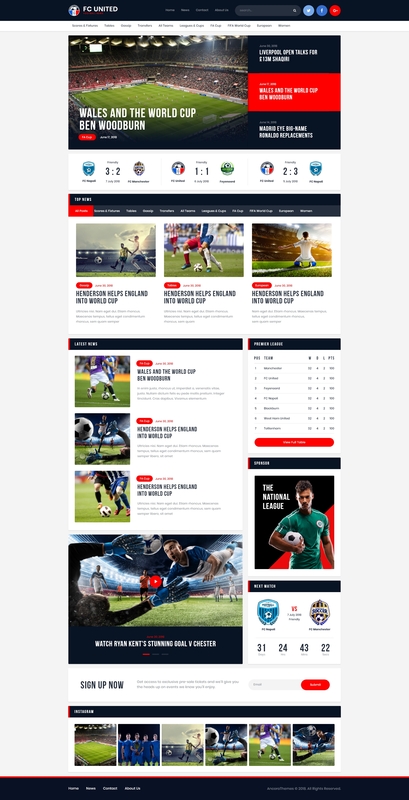 Above all, the theme is based on the powerful SportsPress plugin that will represent your soccer team in a best way. FC United also works with Revolution Slider, Essenntial Grid, Instagram Feed, etc. to make your website even more memorable.